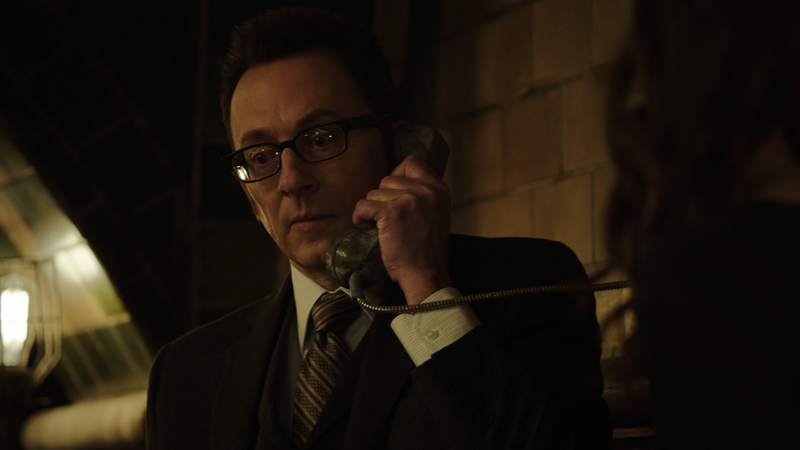 “Person of Interest” has been one of the more innovative series on network television (i.e. the big four) and while it’s had its fair share of filler episodes, even those have been entertaining thanks in large part to its three-dimensional characters who aren’t mere cardboard cutouts and have actual personalities and motives, and oft shifting motives no less. 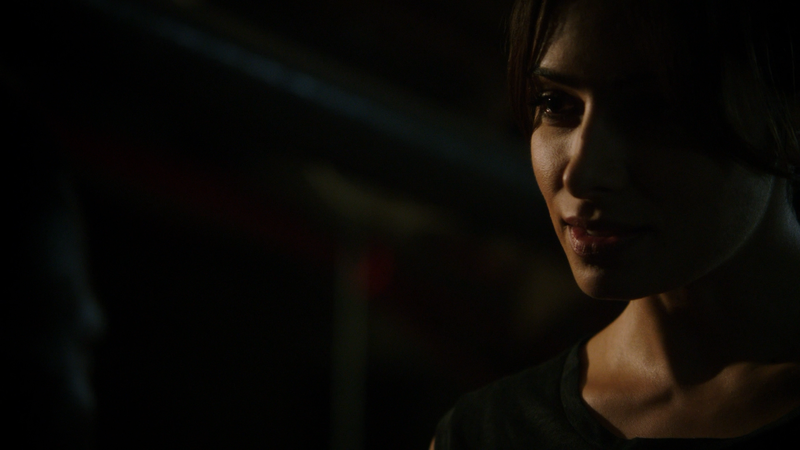 Year four of the series puts these characters to the test, backs against the walls not always able to rely on The Machine to help. It also presents a unique villain one that the current slot of Terminator movies could wish they had come up with. 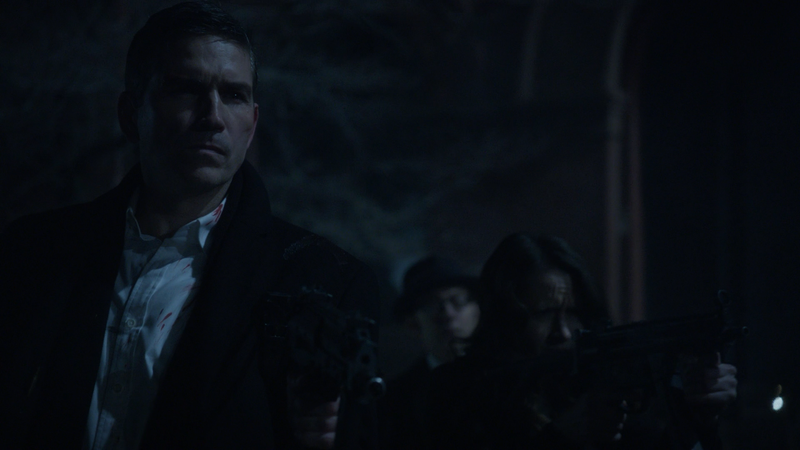 The fourth season begins with our heroes — muscleman/weapons expert John Reese (JIM CAVIEZEL), Harold Finch (MICHAEL EMERSON), wild card Root (AMY ACKER), assassin-turned-good-girl Shaw (SARAH SHAHI) — going underground assuming new identities like Reese being Detective John Riley, Shaw as a counter saleswoman or Finch now a college professor, with Root having to change identities multiple times in order to avoid detection of the aggressive A.I. known as Samaritan. Helping out once again is Detective Fusco (KEVIN CHAPMAN) though he is out of the loop when it comes to the battle between The Machine and Samaritan and its emissaries, puppet masters pulling strings with those in power in D.C. and beyond. Returning this season is Diane Claypool a.k.a. Control (CAMRYN MANHEIM) who uses Samaritan’s technology to track and eliminate National Security threats begins to question its methods especially when an apparent terrorist cell is located within the U.S. but Samaritan will not allow her to access the primary terrorist’s laptop. She shows up from time to time through the season and begins seeing the bigger picture involving Samaritan though I am curious to see how they resolve the character in the truncated fifth, and likely final, season. 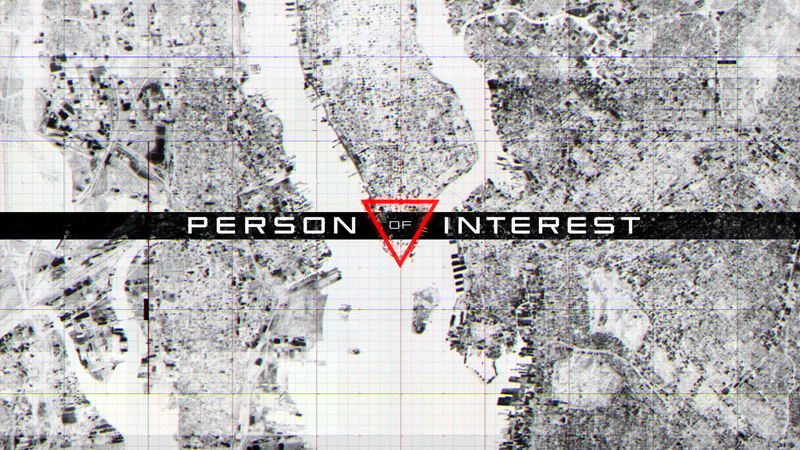 “Person of Interest” season four continues the streak for its writers expanding this world and takes us beyond the “number of the week” formula (which I kind of liked) but after the events that occur leading up to an intense and surprisingly emotional season finale on ‘YHWH’ (which uses the Pink Floyd song Welcome to the Machine to perfection; and yes it is on the Blu-ray/DVD releases, not replaced as some feared). The 4-disc set is housed in an HD Keep Case and comes with a side-sliding matted slip cover. Inside is a redemption code for the Digital HD version. Unfortunately Warner seems to be winding down on this release dropping the DVD copies and limiting the number of features. Music of “Interest” (17:44; HD) looks at the work of composer Ramin Djawadi and how he approaches scoring the series and its cues. Going Undercover with Root and Finch (4:57; HD) has actors Amy Acker and Michael Emerson take viewers on a tour of the new Subway Headquarters and get comments from the production designer. 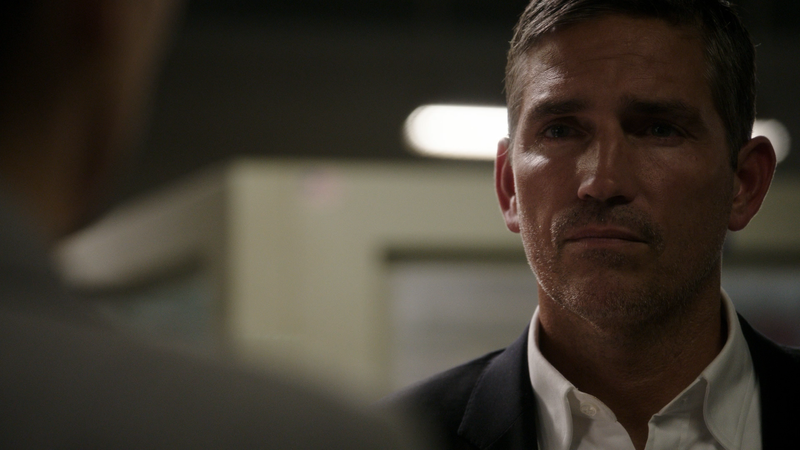 “Person of Interest” 2014 Comic-Con Panel (28:36; HD) is footage from Con with the main series cast as they answer questions about the season. Lastly is a Gag Reel (2:58; HD) with line flubs and the like. 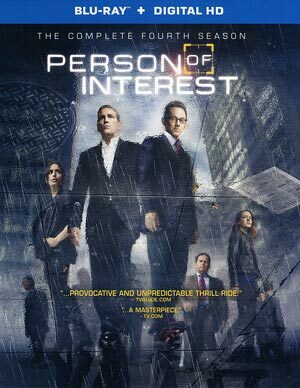 Warner Home Video unleashes “Person of Interest” onto Blu-ray shown in its original televised 1.78 widescreen aspect ratio and given a 1080p high-definition transfer. As with previous years, this one looks quite good with excellent detail levels while colors seem to be balanced though is more geared toward darker elements in keeping with the tone of the season. Still, it’s a clean looking transfer with no signs of artifacting, aliasing or even banding. 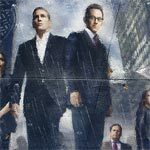 Overall, the fourth season “Person of Interest” is another solid year for the series expanding the world and adding the new element in another machine, an adversary that makes the gang’s lives far more difficult and harder to help those in need. The performances all around are quite good and I only wonder where they go from here going into a 13-episode fifth season which, unless ratings improve, might be the series’ last. The Blu-ray released by Warner is, all things considered, a bit weak with very few bonus features though the video and audio transfers are both well done.